I'm go around correcting everybody on this because it's important: Wu Zetian was not (only) Empress of China. She went and made herself EMPEROR of China. China has had plenty of Empress, who by definition are the consort of the Emperor. But it's only ever had one female Emperor, and that was Wu Zetian. Empress Lu (widowed of Gaozu Emperor) who held true powers behind his son, she appointed her kin to official positions a move which caused Lu disturbance after her death. And dont forget Empress Dowager of Cixi of Qing dynasty. Well, she is the only EMPRESS REGNANT of Chinese history. She proclaimed herself an Emperor, and she was the only emperor at the time on the throne, her descendants recognized her as an emperor, so she is the only female emperor, but not empress (wife of the emperor). However it might be the same meaning in English language in some points. You made the exact point I hoped to make. There were plenty of empresses of China since the time of the Qin Dynasty and the first Chinese emperor, by virtue of their marriage to the emperors. Wu Zetian set herself apart by declaring herself emperor. She even started her own short-lived dynasty in the middle of the Tang period. 00:58 Wu Zetian wasn't born "Wu Zhao (曌)". She named herself that after she gained power in the court, because the character "曌" is composed of "日" (sun), "月" (moon), and "空" (sky). By naming herself 曌, Wu Zetian is proclaiming that she is as majestic as the sun and moon in the sky. Thanks a lot, very good explanation, to add on, Zhao (曌）, this specific character is made up by herself. She also made up many Chinese characters during her rule period. But most of the characters were repealed after she died, but ONLY this character, Zhao (曌），her name, has to be kept to fulfill this part of history. Anyway, she's definitely one of the most unique women in Chinese history. I find that one of the main points that people don't really mention is how unfair history made her to be. Let's be honest, almost all emperors in China were ruthless. The battle for the throne is being fought with their own brothers who most of the time die in the hands of the winner. That's why I don't understand how people are being such hypocrites and emphasizing that she was ruthless while the other emperors were too. She's the only woman to bear the title of Emperor in her own right, as opposed to Empress Consort. There were other female de facto rulers of China, though: Cixi is a prominent example. +KorKhan89 Cixi is a wonderful example on par with Wu Zetian. I was just kind of confused when he said that she was the only Empress of China. There's been many Empress of China but she did in fact take on the title of Emperor and she's the only woman in Chinese history to ever do that. Also the only one to don the emperor's yellow suit. And matching headgear, I believe. +Aaron Godley she was the only female emperor in chinese history but not the first woman to rule china. Before wuzetian there was 宣太后 from qin state during the warring period. She was the great great grand mother of the first emperor of china. +poortaiwanese yes I know that. In the video for some reason the guy says she was the first and only Empress of China which is very inaccurate. She was however the only female emperor in China. +Aaron Godley Wu Zetian is the first and the only female Emperor in China. I think this expression will be easier for your to understand her unique role in history of China. Before and after her period, there were lots of women "politicians", some of them were empresses (the wives of emperors), some of them were concubines, and during their reign, there is a puppy emperor under their influences, and none of them declared the throne or ruled without a puppet emperor. +KorKhan89 the wife of lui pang is one of the most infamous dowager of China, but in the west it's cixi that is infamous. I think the confusion is because huangdi isn't gender specific (although it is expected it will be a he) but when translated into english the equivalent term is gendered. Steven Wiratha actually, Wu Zetian was much more different than Cersei...Wu Zetian is beautiful, well-educated, intellectual, and strategic. She has good judgment and a sense of cruel yet fair justice, she react quickly to situations. She was able to prevent corruption of power in politics and destroy threats against her power. She done a great job in ruling her empire. While Cersei who just use power from her family to threatening people to obey her, but Wu Zetian earning power by her brain. Wu Zetian was much more smarter, powerful and feared than Cersei could ever be. Both of them are ruthless but Wu Zetian has the bigger brain here. 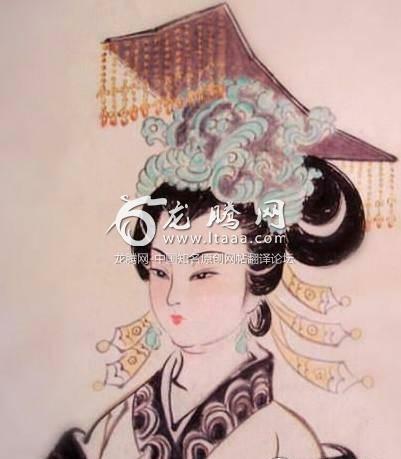 Wu Zetian was a great Emperor, who faced many hardships. Many defamed her because of her status as a women and her loyalty to the state. Many new evidences are now beginning to show that her reign was extraordinary. Moreover, it is not unusual for palace records to change or defame after the passing of an individual. Wow, a famous and evil woman. Is she really a only empress regnant in Chinese history? In our Vietnamese history there is a woman like her, her name is "Ly Chieu Hoang" - the only empress regnant too but she's not famous like Wu Zetian. +Crazy Cat Margaret Thatcher is the modern example of Wu Zetian. She was ruthless but a great ruler. I Learn more In that 6 minutes than I would In any hour documentary. Well done. Why is it if women come into power they have to be extremely evil and mean? I've been spelling it wrong for years O.O I've been spelling it Wu Zeitan. +Alex Xavier Steel Ah, well now and forever more you'll know how it is actually spelt! We never really knew her birth name. Wu Zhao(武曌) is a name she gave herself after she become the empress. Great video! I'm writing an essay regarding Wu Zetian's economical, political, and social achievements within her reign. The point is to show her good side, how she contributed to improve Tang dynasty's economic background and women's position back then. If anyone can recommend me any books/textbooks about these aspects of the empress, I'd be very grateful. It'd be even better if there are books about this written in Spanish, since it's my native language, but English is just fine too.